Coaches carefully instruct athletes on how to pace themselves. Long distance runners have to judge exactly how far they can push their bodies while still keeping a reserve for the final sprint. Bicyclers in the Tour de France have to hold just enough in reserve to explode into the lead at the right moment. A different sort of pacing is learning to draft. No, not beer. Cars. NASCAR. Being able to patiently cruise on someone else’s bumper until just the right moment requires skill and finesse. Leaders can learn how to draft from NASCAR. 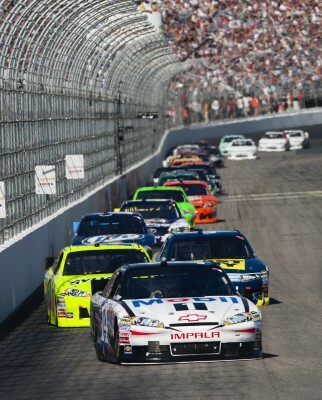 Athletes and NASCAR drivers are highly skilled in pacing themselves, but leaders are not. In fact, many leaders actively fight against you when you try to pace yourself. The last time I checked Jesus let Martha sit at his feet, and he commended her for it. The last time I checked Jesus waited in Jerusalem until there was no doubt that Lazarus was dead and gone before leaving to visit Mary and Martha. He was never in a hurry, even in seemingly life-and-death situations. You only have one body, one life, and one family; treat them well. Pace yourself. If you are having a hard time knowing how to pace yourself, here are a few points to consider. These four things help me to clear my mind of distractions so that I can recognize when to sprint and when to just draft. None of these are original with me. Review your priorities. Know what is most important: God, you, your family, your job, ministry, in that order. Set your face towards God, then make certain you are staying healthy. Your family deserves your attention next, now that you are refreshed and have something to give them. Your job is critical because it has to do with providing for your family. Finally you can think about ministry. Draw firm boundaries. What days do you have off? How many hours are you going to work per week? If you regularly work over 60 hours you need to reconsider your work schedule. Be clear about those two areas with your leaders and let them know you are not available in your off-work times. Period. Communicate immediately when these boundaries are crossed. If someone consistently pushes you past your boundaries, it is time to communicate more clearly or to ask God for a new job. Practice patience. Review my blog from last week, A Leader’s Most Important Trait, to understand the role patience needs to play in our lives. 99% of life is not an emergency, yet we push people as if every project has to be done yesterday. Remember the cliché, “Just because it is your emergency does not make it my emergency?” It’s true. Remember it’s just a job. At the end of the day your family, your relationship with God and your personal health are more important than your job, even if you have a job in ministry. As Andy Stanley said so well in the book Choosing to Cheat, it is Jesus’ job to take care of the church, not ours. Our first ministry is to our family. Pacing yourself in ministry, much like drafting in NASCAR, is hard work, but it is the only way to guard against burnout. To dig deeper, listen to Michael Hyatt’s podcast, Is Work-Life Balance Really Possible? How are you going to pace yourself this week? This entry was posted in Leadership, Life, Productivity and tagged A Leader's Most Important Trait, Andy Stanley, athletic training, boundaries, Choosing to Cheat, coaching, how to pace yourself, Is Work-Life Balance Really Possible, Jesus, Lazarus, Mary and Martha, Michael Hyatt, NASCAR, patince, priorities, Tour de France by Maurice F. Overholt. Bookmark the permalink.